The Turret House was built in about 1574 for the 6th Earl of Shrewsbury as a hunting tower from which to view his extensive deer park. From 1570 to 1584, Mary Queen of Scots was imprisoned in the Turret Tower for brief periods. It fell into disrepair when Sheffield Manor was owned by the Duke of Norfolk, and partly dismantled in 1706. It was restored in 1873. 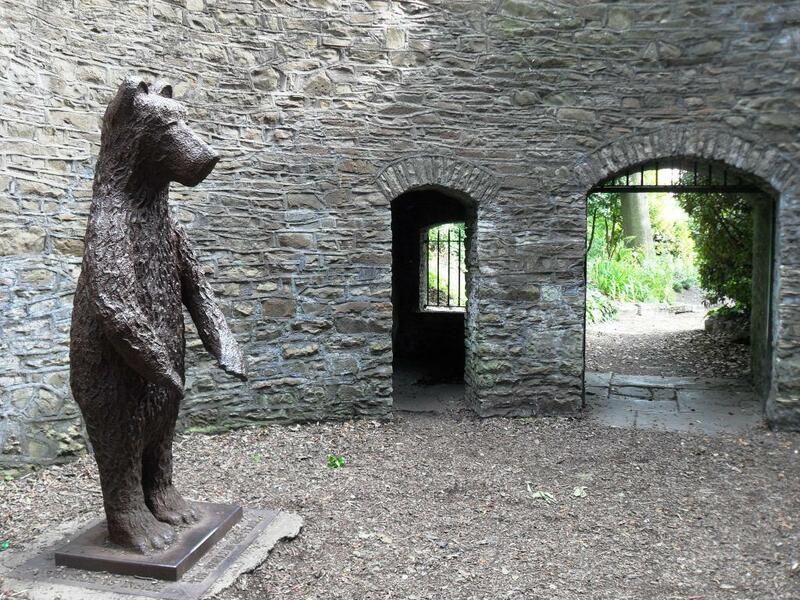 In Sheffield Botanical Gardens there is a large circular building where two bears were kept in Victorian times. It is said that a child fell into the pit and was killed by a bear. The classical gateway to the cemetery at Sheffield may have been built over Porter Brook to symbolise the crossing of the River Styx. The Nonconformist Chapel is in the middle of Sheffield General Cemetery and both the building and the cemetery were designed by the architect Samuel Worth in 1836. The classical styled building has Egyptian features and has a sculptured panel above the door with a dove representing the Holy Spirit. The Gothic spire overlooking Sheffield was built as a memorial to the 400 cholera victims buried there in 1832. The clock tower at Firth Park was designed by local architects Flockton and Abbot in the 1900s. The monument to Godfrey Sykes (1824-1866), designer and painter, is in Weston Park. It is a terracotta column surmounted with a Corinthian capital and bronze vase. It was commissioned by Sheffield Town Council and completed in 1871. The Jubilee Memorial was originally at the top of Fargate but was moved to Endcliffe Park in 1905. It was replaced by the statue of Queen Victoria, which has also been moved to Endciffe Park. The red granite obelisk is on a block of grey granite and at the base of the plinth are four cast iron gas lamps. Hillsborough Barracks includes early examples of historicist architecture applied to a functional building of this type. The barracks were built from 1845 onwards because of anxiety over civil unrest. Perhaps fears about rebellious Sheffielders with republican sympathies! It housed various regiments until 1930 including, Dragoon Guards, KOYLI and Yorks. & Lancs. Hillsborough House was built in 1779 for Thomas Steade who named his residence in honour of the 1st Marquess of Downshire, Wills Hill, who was known as the Earl of Hillsborough. In the Sheffield flood of 1864 there was 244 fatalities, including two children at the barracks. In 1875, John Ruskin founded a museum at Walkley for the benefit of the Sheffield workers. He rather patronisingly wrote, 'Sheffield is in Yorkshire, and Yorkshire yet, in the main temper of its inhabitants, old English, and capable therefore yet of the ideas of Honesty and Piety by which old England lived'. However, 'Little Mesters' had their noses to the grindstones and they had their own ideas of Social Reform. The Labour Co-operative Party were elected to Parliament for most of the 20th century.